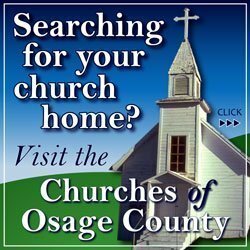 During the Osage County Fair, held June 25-28, 2014, intermediate and senior age divisions of each species’ showmanship contest qualified for the round robin showmanship contest. 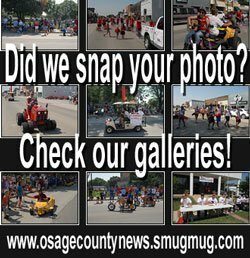 In the round robin, each showman must show animals from each of the divisions – horse, sheep, swine, goat, dairy, and beef – to determine the best overall showman of the fair. 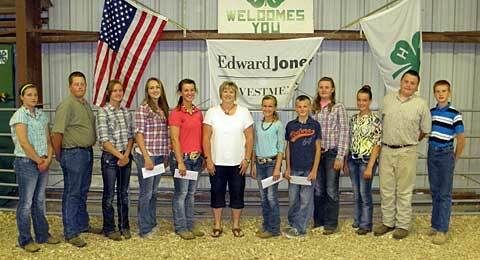 Winners of the 2014 round robin contest were (left to right) senior division showmen Allison Railsback, Dalton Hook, Sarah Thompson, Alyssa Brecheisen, senior division reserve grand champion, Avery Mead, senior division grand champion, contest sponsor Robyn Williams, of Edward Jones Investments, intermediate division showmen Marrit Mead, intermediate division champion, Jamison Corwine, intermediate division reserve grand champion, Bonnie Young, Ainsley Corwine, Calvin Young, and Royce Cowan. 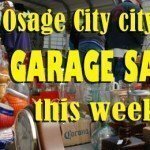 Information and photo thanks to Sally Wilk and Osage County Fair Association.